Source: Prentice Hall/Pearson Education. Image provided courtesy of AISO. Affordable Internet Services Online's (AISO) data center operates entirely on solar power. Solar power hasn't been widely used as a primary source of power, though it has been used as a supplement to grid power. 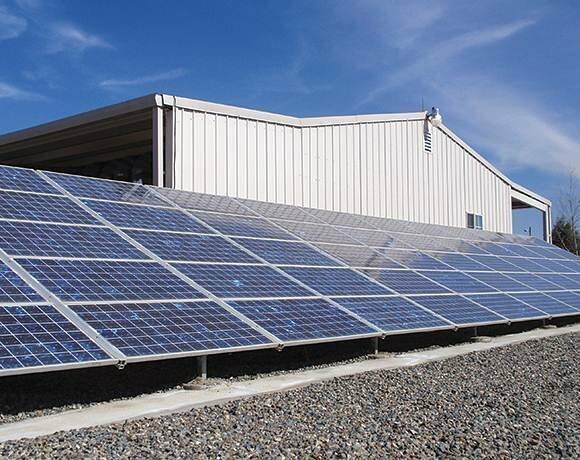 AISO's 2,000 square-foot data center facility in Romoland, Calif., operates completely on solar panels. AISO relies on other technology such as virtualization and energy-efficient air conditioning to make sure the energy it collects will keep systems for its 15,000 customers running.